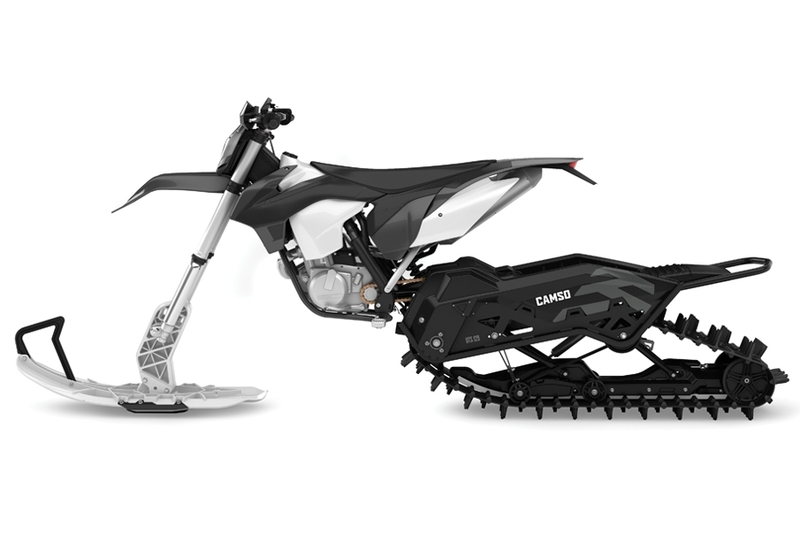 The 2019 dirt-to-snow conversion system provides a deep snow performance and a better handling - The best of both worlds - Ride year-round in all types of terrains with the unique single-rail suspension technology and the high-performance track. 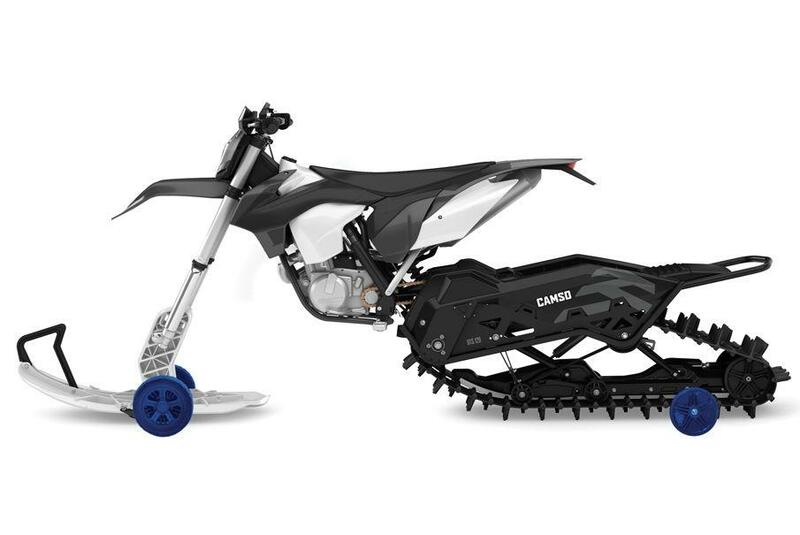 Designed to integrate your bike's original balance and dynamics, the combination of the cutting-edge track design and the single rail suspension makes the DTS 129 an outstanding performer in deep snow and exceptional handling for hard pack trail riding. 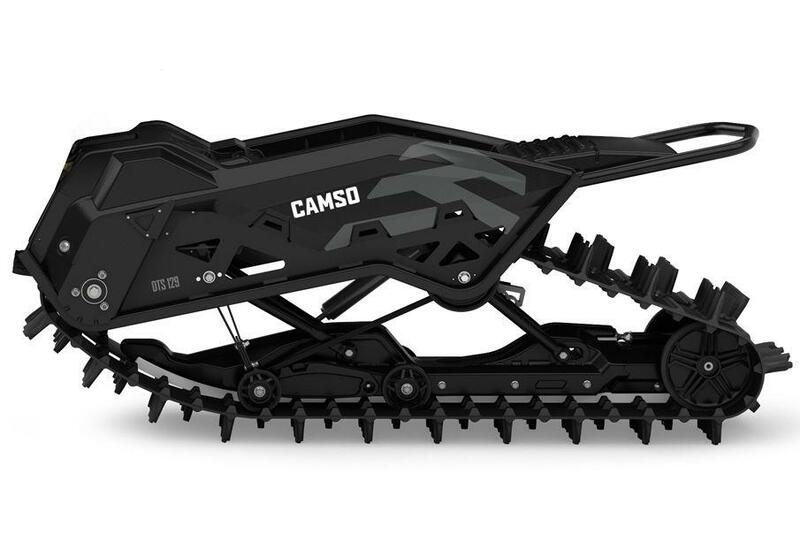 Specially designed for snow bike. Angular lug funnel snow under the bike for optimal flotation. 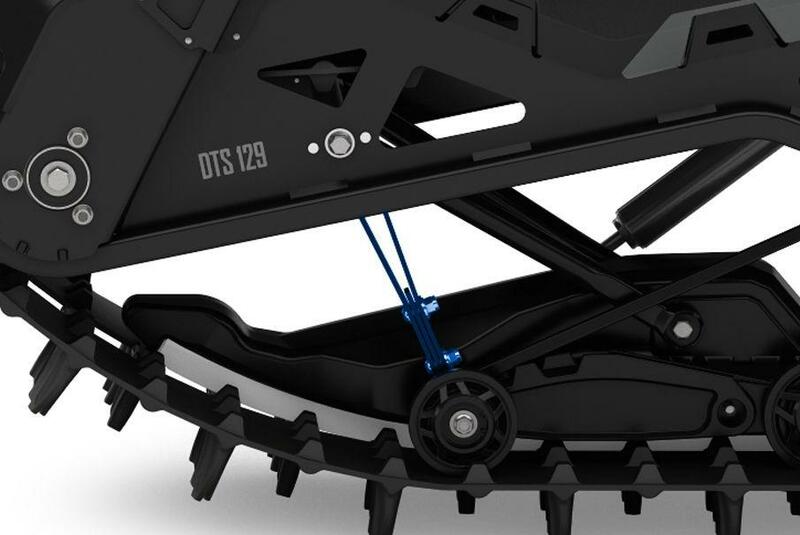 Provide versatility with grip and control on all snow conditions. Maintain similar dirt bike behavior you love on dirt. Outstanding manouverability with smooth leaning transition in all turns. 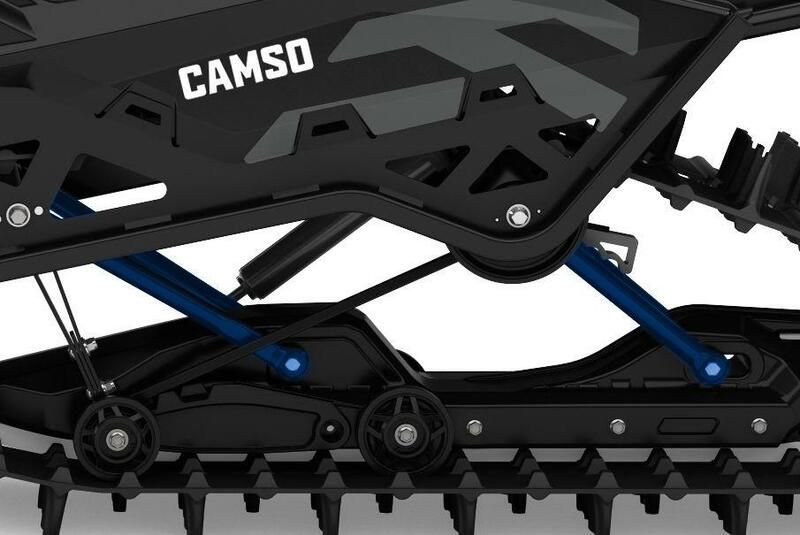 Camso have re-defined the suspension geometry to provide a smoother and responsive ride, especially when you make the leap from trail to deep snow. Provide rising rate suspension behavior you love on dirt. 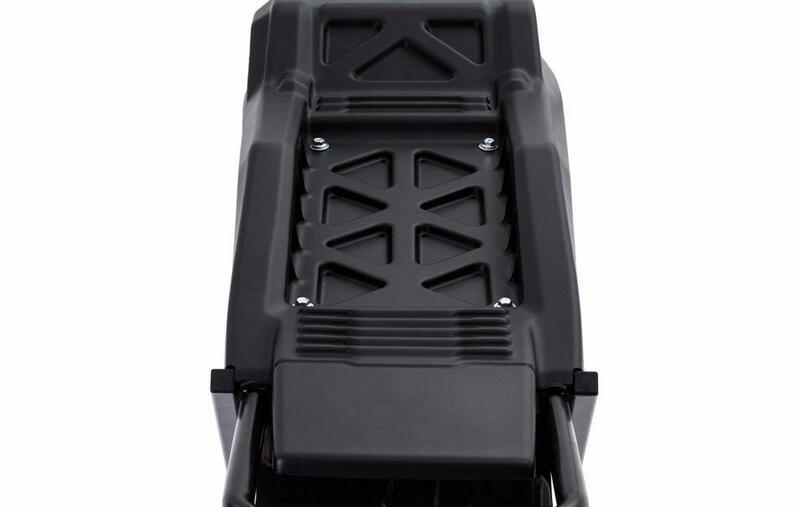 25% softer initial travel and 35% load capacity increase at end of travel. 50% More efficient than MY2018. More upright shock action for a better transfer and a softer feel. 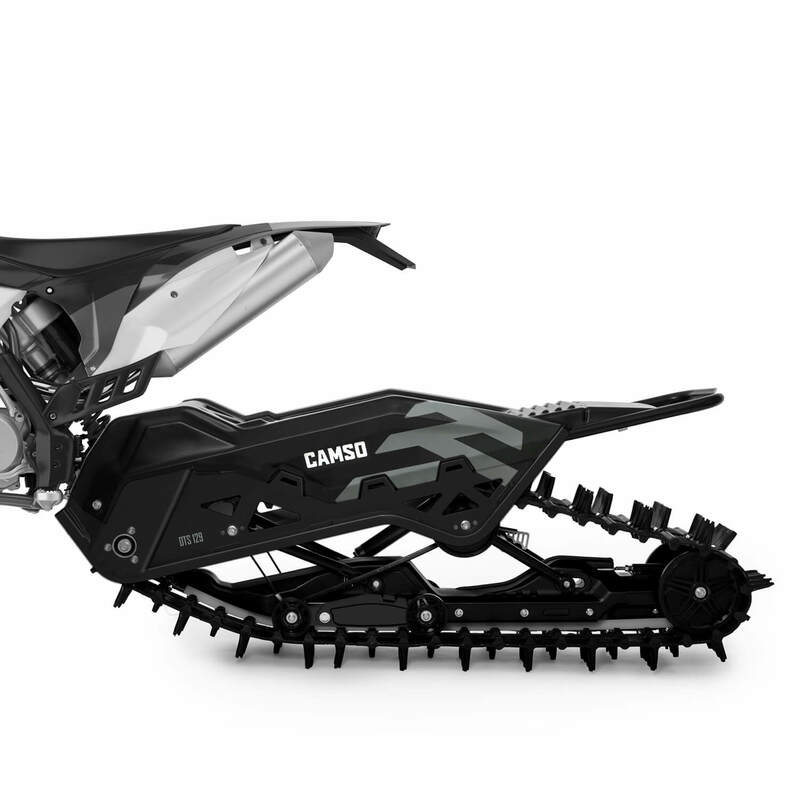 Lighter than last year’s front ski, the unique front ski design gives you stable and predictable handling. 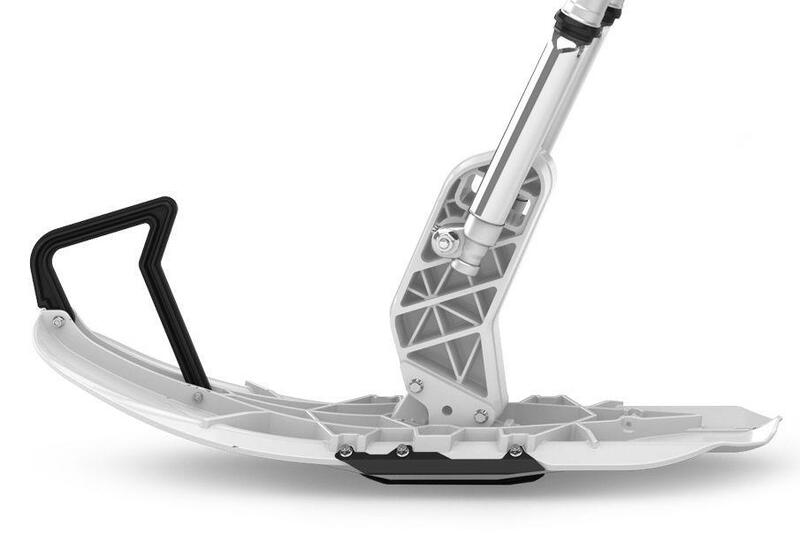 Enjoy smooth side-to-side transitions with the angle side keel featuring a replaceable blade. 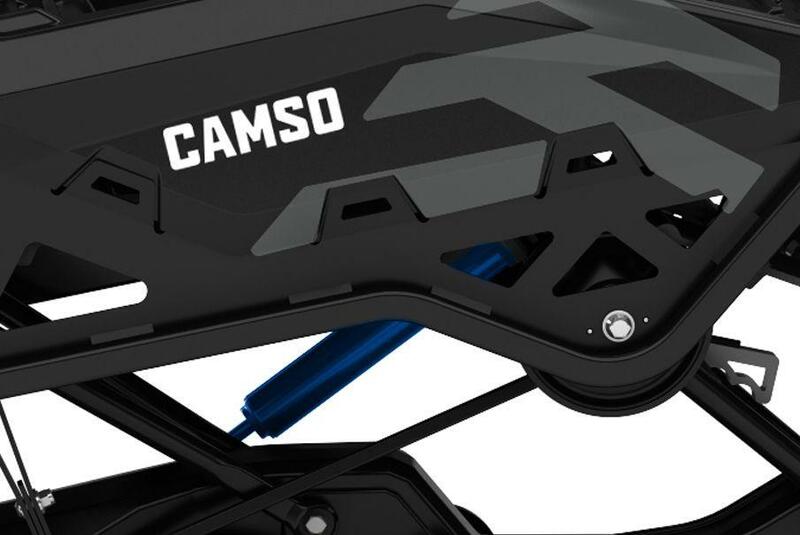 Save your front forks from high-impact with Camso’s polymer ski mount. Thinner material for more aggressive ski behavior. 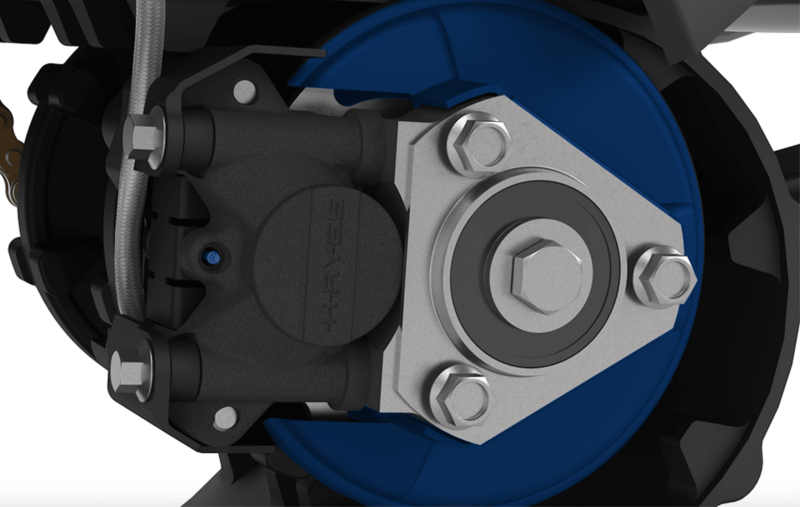 Our pre-bled complete brake system has inside track aggressive contour 150 mm brake disc for an easier and quicker installation. 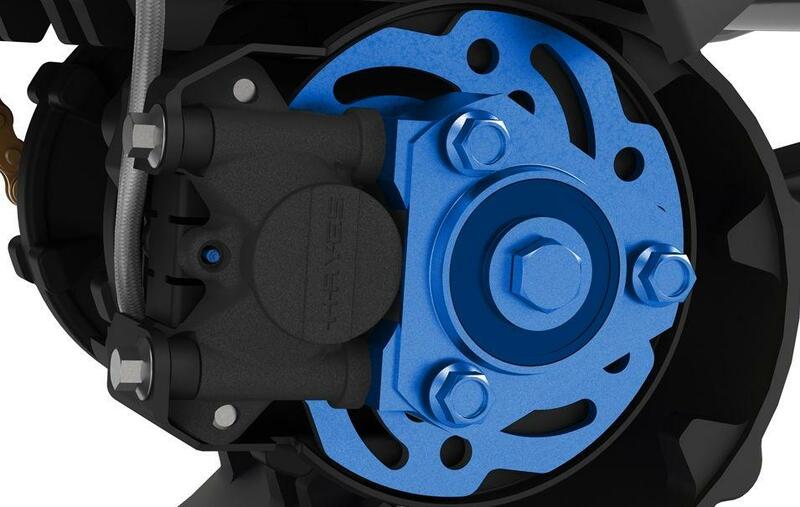 Better even brake pad pressure allowing consistent breaking in all snow conditions. 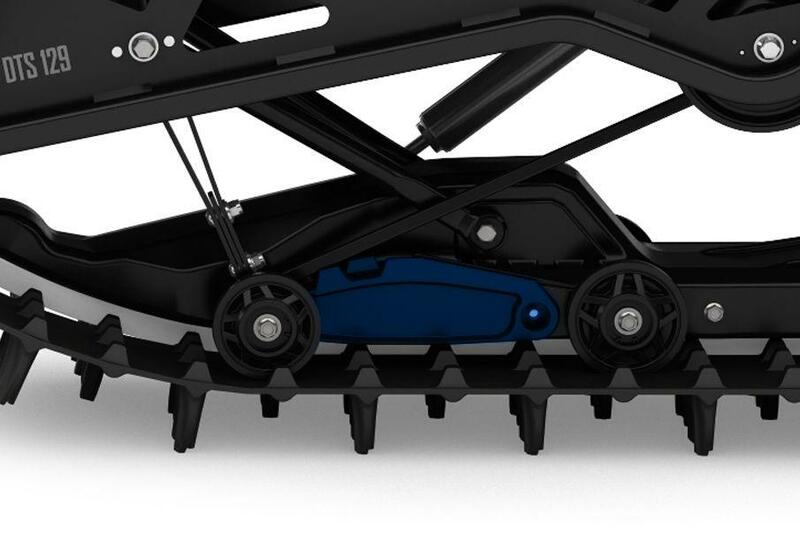 Isolate from snow contact to provides full brake efficiency in any conditions. Integrated naturally with the motocycle, the chassis and subframe are built with strong steel components to maintain frame rigidity and prevent damage from potential impact. 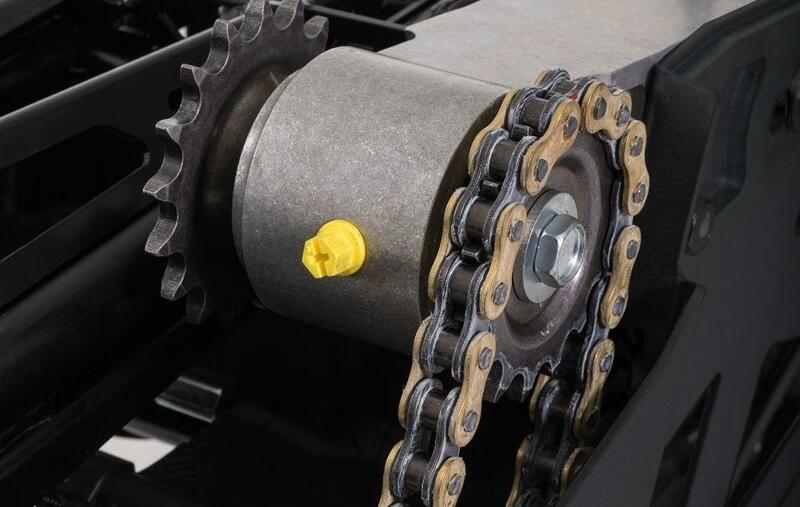 A lighweight dual chain tensionner that allows for the primary and secondary chains to be adjusted individually. 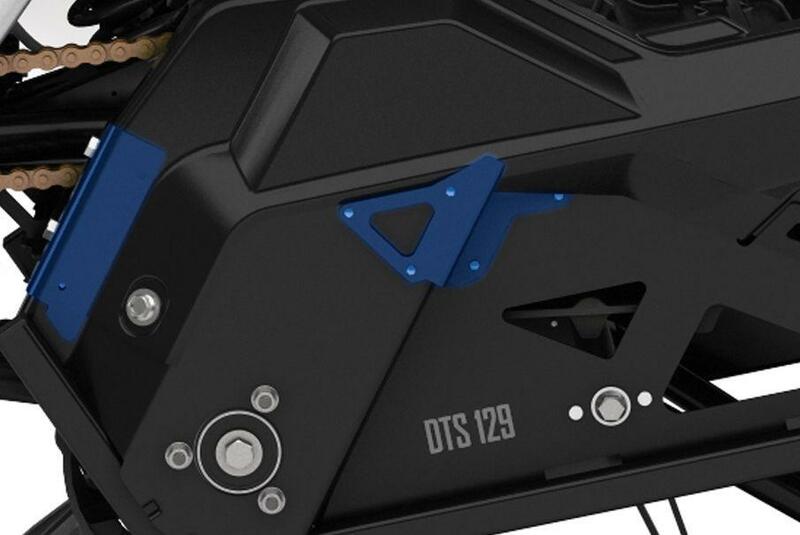 Improve durability and increase panel rigidity. Dissipate stress along the entire panel. Interchangeable sprocket available in 3 sizes : 15-17-19 teeth. Allows rider to change the gear ratio based on riding preference. Triple bearing design with oil bath lubrication. Easily move bike from your garage to the trailer.